Karnataka is a southwestern state of India. It is bordered by Arabian sea to the West, Goa in Northwest, Maharashtra to the north and Telangana to the Northeast. Andra Pradesh to the East, Tamil Nadu to the Southeast and Kerala to the South. It was originally known as the state of Mysore but was renamed in 1973 as Karnataka. Bangalore or Bengaluru is the capital and a big IT hub or silicon valley of India. It is the 4th largest technology cluster in the world and ranks 1st Digital city in the world. 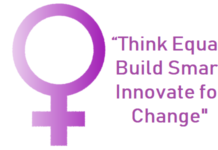 The state is also called the knowledge, research and innovation hub of Asia. Karnataka is known for its tradition and scenic beauty with places like Mysore, Hampi, and Pattadakallu to see. 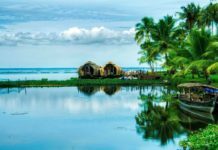 When we talk of tourism in South India, Karnataka is often overlooked in favor of the beaches of Goa, Temples in Tamil Naidu and backwaters of Kerala. But Karnataka is a beautiful land blessed with timeless monuments, world heritage sites, luscious green forest, marvelous wildlife, romantic hill stations, stunning beaches, and vibrant cultures. Karnataka history can be traced back to the Pre-historic period. Karnataka is said to be one of the four Dravidian states associated with Indus-Valley civilization. Aryans from central Asia invaded the Dravidic city-state and civilized and colonized it. Archaeologists have discovered artifacts dating back to 5000 B.C.E. It has many sites of Pre-historic period and most of them are found scattered on the river valleys of Krishna, Bhima, Malaprabha, Ghataprabha, Cauvery, Hemavathi, Shimsha, Tungabhadra, Manjra, Pennar, Netravati etc and their tributaries. Pre-historic studies in India started with the discovery of ashmounds at Kupgal and Kudatini in 1836 by a British Officer in the Bellary region, which then formed part of Madras presidency. Subsequent discoveries have revealed the existence of stone age man with innumerable Pre-historic sites in Karnataka. The Pre-historic culture of Karnataka viz. the hand-ax culture, compares favorably with the one that existed in Africa and is quite distinct from the Pre-historic culture of North India. The ragi grain is found commonly in pre-historic sites of Africa and Karnataka. The early inhabitants of Karnataka knew the use of iron weapon dating back to circa 1500 B.C. has been found. Before joining the Emperor Ashoka’s Mauryan Empire in the third century B.C.E., much of Karnataka was part of the Nanda Empire. The Satavahana Dynasty ruled the area for four centuries. After the fall of Satavahana, Western Ganga Empire emerged and established their independent political identity. They were the first empire to use the Kannada language in government management. After these empires, the imperial Kannada empire such as Badami Chalukyas, Rashtrakuta Dynasty and Western Chalukya Empire ruled over the vast part of Deccan and made Karnataka their capital. 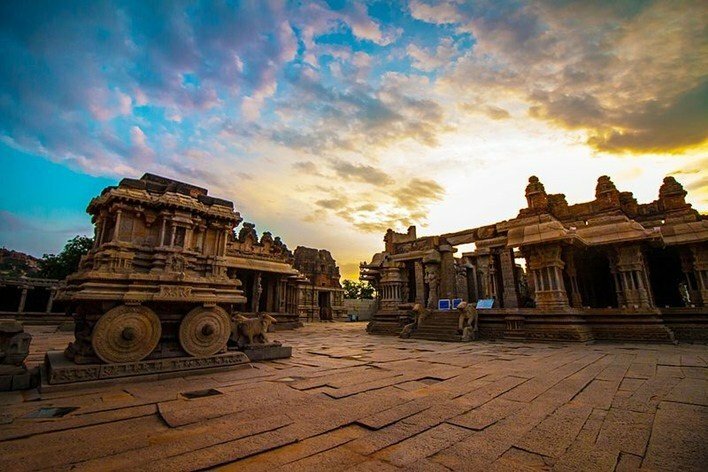 Western Chalukya preserved the unique art and architecture and Kannada literature, which began to be known as Hoysala Arts in the 12th century. Most of the present southern Karnataka was occupied by the Chola Empire in the 11th century. Prior to the arrival of the Hoysala Empire in the 12th Century. Chola and Hoysala were fighting to occupy the area among themselves. After the first millennium, Hoysala got strength in the field. At this time the literature was flourishing, which led to the emergence of special Kannada literature and statues and temples were built. With the expansion of the Hoysala Empire, some part of the present Andra Pradesh and Tamil Nadu was also included. In the early 14th century, the Vijayanagara Empire rose to successfully challenge the Muslim invasion into the south. In 1565, the Vijayanagara Empire fell in front of the Islamic Sultanate in the battle at Talikota. The Mughal Emperor Aurangzeb gave the order to besiege Bijapur. The Bahmani and Bijapur rulers encouraged Urdu and Persian literature and Indo Islamic architecture. 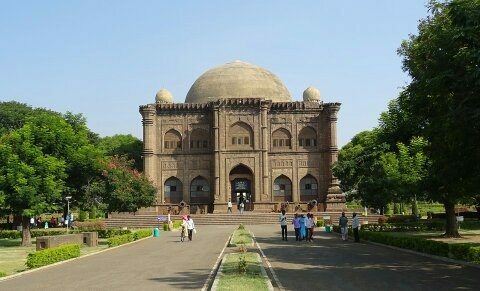 Gol Gumbaz at that time has become the major part of his architecture. Parts of Karnataka were conquered by Marathas under Chhatrapati Shivaji. Subsequently, Nizam, Maratha Empire, British, Mysore Kingdoms of Hyderabad ruled northern Karnataka. After the death of Wodeyar II, Haider Ali the commander-in-chief of the Mysore army assumed control over the region. 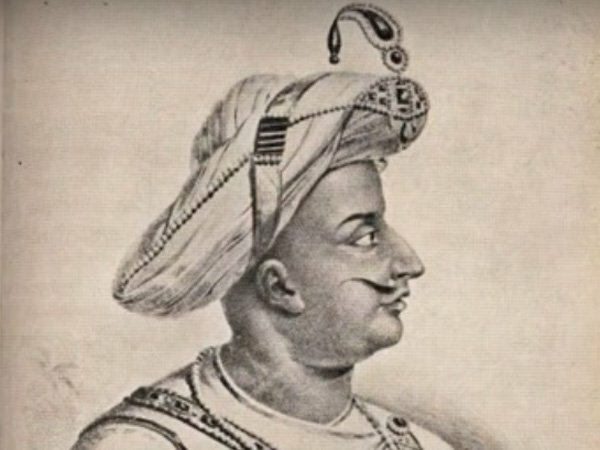 After his death, his son Tipu Sultan also known as Tiger of Mysore ruled the area. After the death of Tipu Sultan in the fourth Anglo-Mysore war Mysore was incorporated into the British Raj. After Indian independence, the Wodeyar Maharaja approved his empire to be included in India. Mysore was made Indian state in 1950 and be the year 1975 the former Maharaja was made the head of the state. Parts of Coorg, Madras, Hyderabad, and Bombay states were incorporated into the state of Mysore due to the Eki Karana movement. The Mysore state was renamed as Karnataka in 1973. Karnataka has a rich cultural heritage, which has been continuously moving forward with the contribution of various empires. Karnataka literature, architecture, folklore, music, painting, and other art forms have a lot of impact on the people. You can see various ancient buildings and monuments, Mauryan Empire special architecture can also be found here. The statue of the 10th-century Jain saint Bahubali stone statue can be seen here. The influence of Chalukyas and the Pallava Empire can also be seen. A varied mixture of ethnicity, culture, and race comprises the people of Karnataka. While the maximum number of people residing here are Kannadigas. They live in perfect harmony and mutual contacts with their neighbors and intimidates (namely the Marathas, the Andras, the Tamils, and the Malayalis). The people of Karnataka are great hosts, their lifestyle is simple who abide by their unique customs, enchanting culture and beliefs. The official language of the state of Karnataka is Kannada. However other languages like Urdu, Telugu, Tamil, Malayalam, Marathi, Tulu, Konkan and Hindi are also spoken. Most educated people use English and Hindi language too. Karnataka is a mixture of various religion where the most popular religion is Hinduism. During the first millennium, the Buddha religion was one of the most famous religions of some parts of Karnataka such as Gulbarga and Banvasi. The Tibetian refugee camp is also in Karnataka. Jainism is also followed by many communities while Christianity and Islam are also followed in Karnataka. 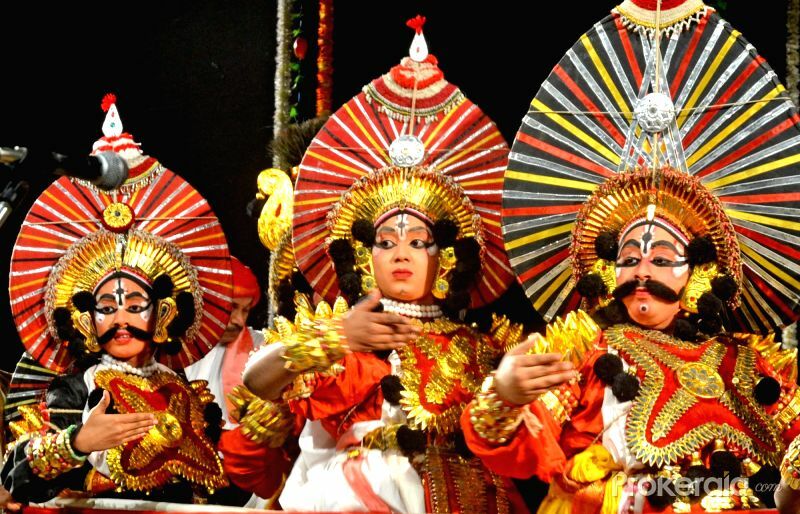 The culture of Karnataka revolves around its dance, music folk art and drama, and literature. Karnataka is a treasure house of ritualistic dances. Karnataka is a treasure house to various dance forms, the word Kunitha is used for all folk dances or ritual dances. One such dance is the Dollu Kunitha in which singing is accompanied by the beating of drums. Among the classical dances, the Mysore style of Bharatanatyam is the oldest and most popular form of classical dance in India. Other Mainstream Classical dances of Karnataka are Kuchipudi and Kathak. Yakshagana is one of the most difficult dance forms. It has no script and its performance depends solely on artist ability. Another amazing Karnataka traditional dance form is Damman dance of Siddi community. Indian classical music has a special place for Karnataka as both Karnatak (Carnatic) and Hindustani styles find a place in the state. It is the only state where Hindustani music from the north and Carnatic music from the south can be found together. Karnataka has produced great music artist like Bhimsen Joshi, Mallikarjuna Mansur, Kumar Gandharva, Basavaraj, and Puttaraj Gowai, some of them have been a recipient of Kalidas Samman, Padma Bhushan, and Padma Vibhushan awards. Karnataka is marked by some of the most colorful festivals. Mysore Dussehra is organized as Nada Habba and this is the main festival of Mysore. The second important festival of Karnataka is Ugadi (Kannada New Year), while other festivals celebrated are Makara Sankranti (the Harvest Festival), Ganesh Chaturthi, Nagapanchami, Basava Jayanti, Deepavali, and Ramzan. Kambala is an epic buffalo race which is an annual two-day festival, kambala season generally starts in November and lasts until March. The dressing of Karnataka people varies from district to district. The main Kannadiga male costume is Panchey or Lungi, Angi and Peta. Panchey or Lungi is tied below the waist while Angi is a traditional shirt and Peta is a turban worn in Mysuru style or Dharwad style. Shyla is a piece of long cloth used to carry on the shoulder. Female costume includes Sari among which IIkal saris are woven using a special technique called Tope Teni. 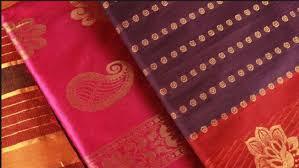 Mysore silk saree is also famous. Salwar Kameez is widely popular in urban areas. Young women traditionally wear Langa Davani. Kasuti is a form of embroidery work which is very popular sought after art on dress and costumes. Jeans is popular among the youth while new age khadi/silk printed with various art are also found. Karnataka food is extremely rich in variety. From strict vegetarian delicacies of Udipi to non-vegetarian gourmets of Kodava, food in Karnataka have something which brings water in your mouth. Karnataka is famous for the variety of dosa and sambhar it serves. Rice is the staple of Karnataka food. 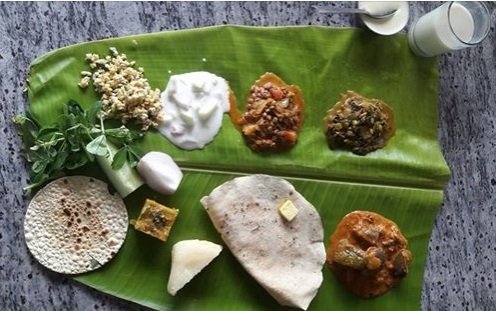 A typical Kannadiga Oota (meal) consist of rice, sambhar, pickle, ghee, dessert and other curry based dishes served on banana leaf. Popular dishes to try are Bisi Bele Bhaat, Neer dosa, Mangalorean fish curry and Kori Gassi (chicken curry). Rotis made of wheat, jowar and ragi are consumed. Chikkadikai (Kannada), ballar (Hindi) is a famous vegetable consumed in Karnataka. In dessert, they use milk, vermicelli, sugar, coconuts, jaggery, and dry fruits. Payasas Pedas of a different type, Kesari Bhath, and chiroti are some popular desserts of Karnataka. Karnataka is famous for its crafts in wood carving, ivory carving, stone carving, and sandalwood crafts and doll making. The works of wood especially the rosewood and the sandalwood are in huge demand. Ivory art is typical in the state. Mysore painting is popular all over the world. Silk weaving is also a unique art of Karnataka. The Mysore silk weaving art is a traditional occupation of the people. One of the rare handicraft of Karnataka is the Bidriware made on metal plates. A Kannada wedding is pretty much similar to that of a typical Hindu wedding. Nandi Pooja is done pre-wedding to ensure the ceremony goes smoothly without any glitches. You will find Kannada wedding as a place of God chanting mantras and place where peace brew from within. Karnataka has many tourist locations and each location speaks in volume and uniqueness. The coastal coast of Karnataka is not very large, but it is home to India’s most beautiful seaside. The state between the west coast and the Deccan Plateau is located in the forest, pavilion, temple, cave, beach, river bank, lake, coffee plantations, waterfalls, ruins, and other places. The state is known for its historical places, hills, wildlife sanctuary, world heritage sites, and the City Bangalore is at the forefront of the rapid economic and Technological Development. Mysore, Aihole, Bijapur, Badami, Hampi, Hassan, Mangalore and Pattadakal are some of the Historical destinations in Karnataka. Hampi was the ancient capital city of the powerful Vijayanagar Empire. The Mysore palace is the second most visited tourist destination in India after Taj Mahal. 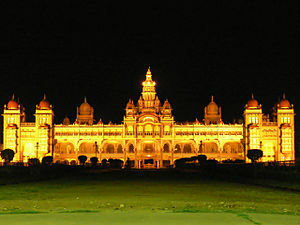 Many other palaces in Karnataka such as the Bangalore Palace, Mysore Palace (Ambvillas Palace), Tipu Sultan Mahal, Nalkonad Mahal, Rajendra Vilas, Jagan Mohan Mahal, Jayalakshmi Vilas Mansion, Lalita Mahal, Rajendra Vilas, Chewuwaba Mansion, Shivappa Naika Palace and Darya Daulat Tiger Mahal Etc. are also seen. We also see the famous Islamic heritage of Bijapur, Bidar, Gulbarga, Raichur and other parts of the state. Round dome, Bijapur is the world’s second largest pre-modern dome. Karnataka has two World Heritage Sites called Hampi and Pattadakal. We can also see Bellary fort built for protection by Tipu Sultan. Karnataka is also famous for Shimoga district’s waterfalls, where Asia’s second largest waterfall is found. There are many famous beaches in Karnataka’s Malpe, Kup, Mervendhe, Karwar, Gokarn, Mudeswar, and Surendalk. For the climbers, Karnataka is no less than a paradise. Yana in Uttar Kannada, the fort in Chitradurga, Ramnagar in Bengaluru district, Shivgange in Tumkur district and tekal in Kolar district are similar to Paradise for climbers. Agumbe and Kodachadri in the main hill areas of the state, Baba Budgari, Kemmanguandi in Shimoga district, Kudremukh in Chikkamagaluru district etc. Mullanagiri, Pushpagiri, Nandi hill, Kundadari, Tadi and Amol, Talakavari, Mahaswara hill, Himavad Gopalaswamy Island, Amberguda etc. is the other hill cities of the state and area. 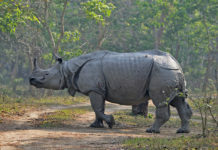 Many wildlife sanctuaries and national parks such as Dandeli Wildlife Sanctuary, Dariji lazy bear sanctuary, peacock sanctuary in Banakpura, Ranbenur Black Deer Sanctuary, Haveri District; Deorai Wildlife Sanctuary, Hampi; Attivari Bird Sanctuary, Shirahatti; Biliirigiranga Swamy Temple Wildlife Sanctuary, Bhadra Wildlife Sanctuary, Brahmagiri Wildlife Sanctuary, Kaveri Wildlife Sanctuary, Melukote Temple Wildlife Sanctuary, Mandya District; Mookambika Wildlife Sanctuary, Nuhu Wildlife Sanctuary, Pushpagiri Wildlife Sanctuary, Sharawathi Valley Wildlife Sanctuary, Shettihalli Wildlife Sanctuary, Someshwar Wildlife Sanctuary, Talavavari Wildlife Sanctuary, Gudvi Bird Sanctuary, Mandagade Bird Sanctuary, Kaggaldu Belur Sanctuary, Gudvi Bird Sanctuary and Bonal Bird Sanctuary etc. Some of the famous sea basins include Karwar, Gokarn, Murudeshwar, Malpe Ullal and Mangalore. Main events to see are Lighting at Mysore Palace during Dussehra, Jumbo Savari or elephant march auring the Hampi festival and buffalo race during Kambala festival.